Nov 30, 2015 Windsor NS, The Long Pond Heritage Classic organizing committee today announced that they will be hosting Guy Lafleur as an honourary guest at this year Long Pond Heritage Hockey Classic. 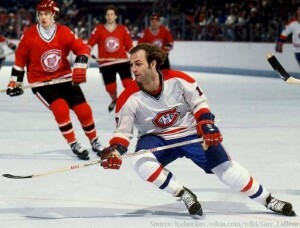 Guy Lafleur’s career in the NHL began in 1971 following two celebrated seasons in the Quebec Major Junior Hockey League with the Quebec Ramparts (G:130 A: 79). During his fourth season (the year he removed his helmet), Guy came into his stride scoring 53 goals and tallying up 119 points. This was the beginning of an era for both the team and Guy. For the subsequent three years he lead the league in scoring and connected 6 straight years with 50+ goal seasons. Twice recognized as the league’s MVP, he was one of hockey’s most exciting players and was instrumental in 5 Stanley Cup Championships. 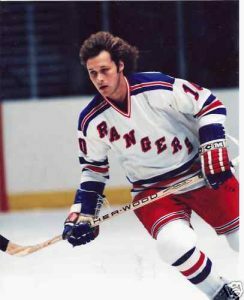 Initially retiring in 1984-85, he returned to the game he loved in 1988 with the New York Rangers (1 year) and then with Quebec (2 years). Guy returned permanently at the end of the 90-91 season hanging his skates up professionally after 1,126 games, 560 goals 793 assists and 1,353 points. 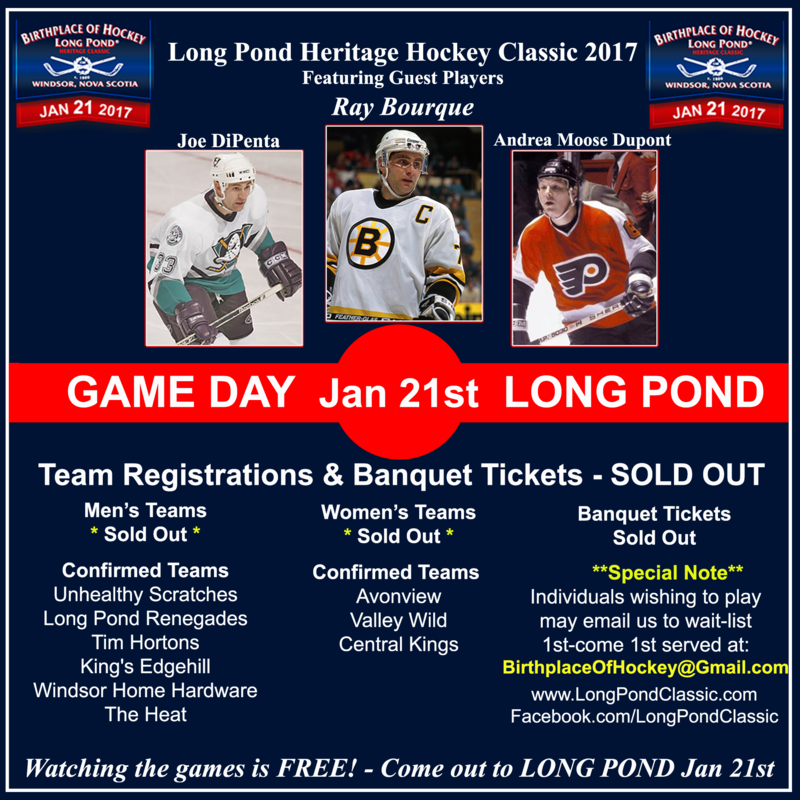 This year’s Long Pond Classic Event is being held on January 30th, including a day of hockey for teams and players on famous Long Pond where hockey was first played circa 1800. The day of games are followed by a celebratory banquet and hot stove night. 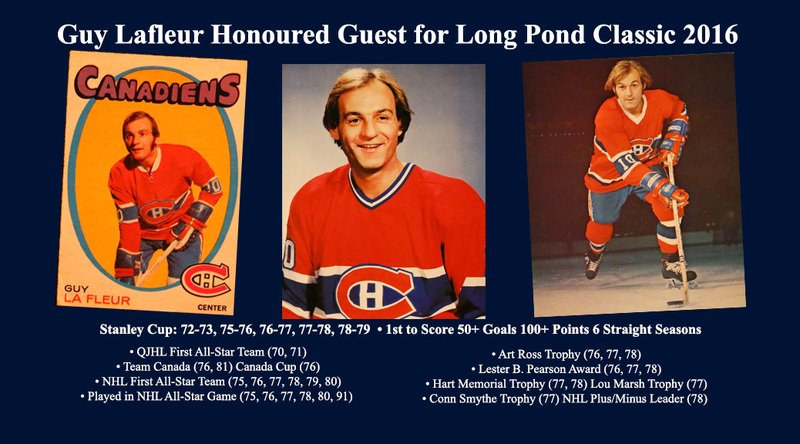 Player and banquet tickets are available by contacting the organizers through LongPondClassic.com or BirthplaceOfHockey.com. Ric Nattress appeared in 34 games with the Canadiens in 1983–84, and five more the next season, before being traded to the St. Louis Blues for cash before the 1985–86 season. Nattress played two seasons for the Blues, who traded him to the Calgary Flames after the 1986–87 season for two draft picks. 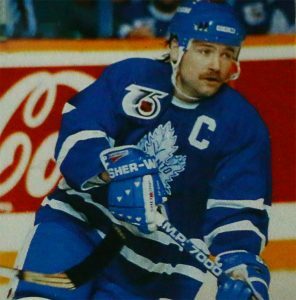 He played four-plus seasons with the Flames before being traded to the Toronto Maple Leafs in the ten-player deal on January 2, 1992, which also sent Doug Gilmour to Toronto. After joining the Philadelphia Flyers for the 1992–93 season, Nattress retired. 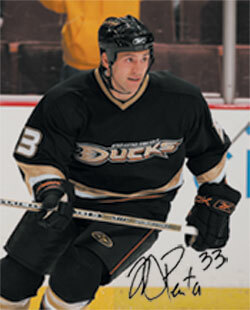 In his NHL career, Nattress played in 536 games. He recorded 29 goals and 135 assists. He also appeared in 67 playoff games, scoring five goals and adding ten assists. He was a member of the Sherbrooke Canadiens 1985 Calder Cup, and Calgary Flames team which won the Stanley Cup in 1989. Nattress has been a successful radio co-host of “Blue & White Tonight”, a post-game show after every Toronto Maple Leafs game on Sportsnet 590 The Fan. He is a sought after speaker. 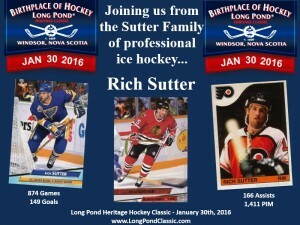 Rich Sutter of the Sutter family, one of 6 NHL brothers to have played professionally has committed to this years’ Long Pong Heritage Hockey Classic. David Hunter, chair of the organizing committee for this year’s event was pleased to make the announcement. “We’re thrilled to have somone of Rich’s reputation to join us at this year’s fund raising event”, said Hunter. Rich Sutter was drafted 10th overall by the Pittsburgh Penguins in 1982. 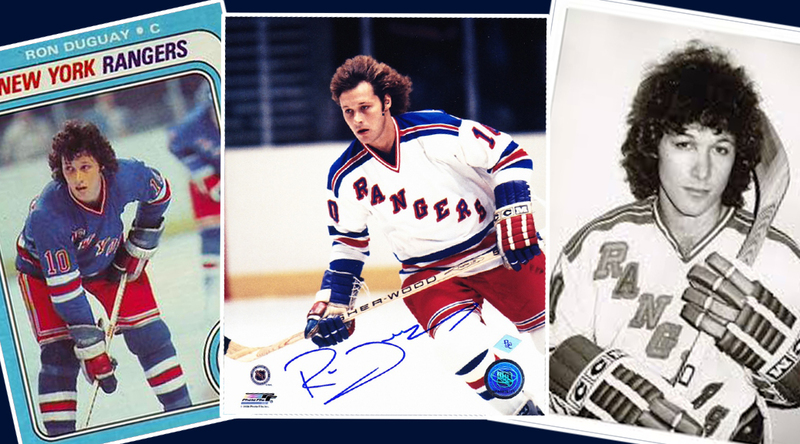 During his professional career in the NHL Rich Sutter played for the Pittsburgh Penguins, Vancouver Canucks, Philadelphia Flyers, St Louis Blues, the Tampa Bay Lightning the Toronto Maple Leafs and the Chicago Blackhawks. During his career in the regular season he notched up 874 games, 149 goals, 166 assists and 1,411 minutes in the penalty box. 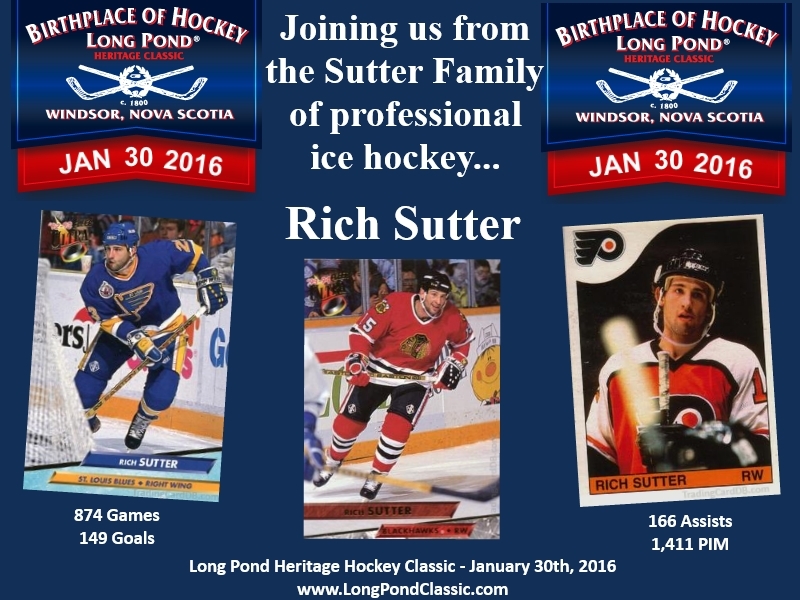 Adding to this year’s roster, Rich Sutter will join Guy Lafleur as part of this year’s Long Pond Classic which began in 2011 . The event is run by a local volunteer organizing committee which supports the work of the Windsor Hockey Heritage Society in its efforts to promote Windsor as the Birthplace of Hockey. Windsor Hockey Heritage Society President David Hunter announced Friday that Peter Mahovlich is the latest well known ex-NHL player to agree to attend the Long Pond Hockey Heritage Classic February 8th in Windsor. Mahovlich topped the 100 point plateau twice in his career with the Montreal Canadiens, in both 1974-75 and 1975-76 when he was also part of the league’s top scoring line playing beside Guy Lafleur and Steve Shutt. Mahovlich was a first round and second overall draft pick taken by the Detroit Red Wings in June 1963. Besides his prolific scoring years in Montreal, Mahovlich had his name placed on the Stanley Cup four times. He also played with the Detroit Red Wings during the latter stages of his career recording a 66 point season in 1979-80 and prior to that, he played two seasons in Pittsburgh garnering 114 points on 39 goals and 75 assists. Hunter said, “Mahovlich was also a key member of Team Canada during the 1972 Summit Series when he played in seven of the eight games.” His lone goal of the tournament coming when he skated around three Soviets and scored short-handed to lead Canada to their only win in four games in Canada. Peter was respected by his National Hockey League peers for his esteemed accuracy in passing and his skill with the puck. He was also quite a prankster in NHL dressing rooms, becoming famous for setting newspapers on fire while they were being read by his teammates and he was also a well-respected plant grower, leaving other players confused as to how he could grow plants in his locker stall. Peter to this day plays an active role in the sport and is currently an advanced professional scout for the vastly improving Florida Panthers. Mahovlich joins the previously announced Rick Middleton, the 14th overall first-round draft pick of the New York Rangers in 1973 before being traded to Boston in the famous Ken Hodge exchange. This deal was described as one trade the New York Rangers have regretted to this day. Middleton went on to accumulate nearly 1,000 points while Hodge only played one more year in the league. Middleton’s career season with Boston was 1981-82 when he scored 51 goals and was named the winner of the NHL’s Lady Byng Trophy for sportsmanlike play during an entire season. Middleton had five straight seasons of 40 goals and 90 points while in Boston while also recording a 105 point season for the Bruins in 1983-84. Middleton also played on a line with Wayne Gretzky and Michel Goulet in the 1984 Canada Cup, scoring four goals and four assists while also playing in the NHL All-Star Game three separate years in 1981, 1982 and 1984. 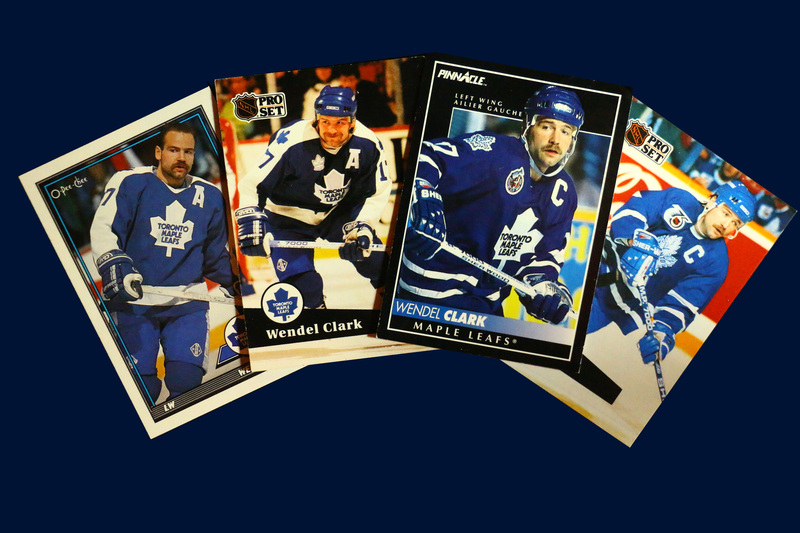 He finished his NHL career in 1988 with 448 goals, 52 short of the magical 500 number. Gilbert Dionne and brother to Marcel played on the last Canadian team to win a Stanley Cup – the 1992-93 Montreal Canadiens and will also be part of the festivities on Long Pond. Dionne played 75 games for the Cup Champs in 92-93, scoring 20 goals and collecting 28 assists before adding 6 goals and 6 assists in the playoffs. Dionne finished his NHL career after being injured following a trade to Philadelphia in the strike-shortened 1994-95 season. Forbes Kennedy who has appeared in Windsor before at Hockey Heritage Functions is a true entertainer and will always be remembered for being involved in what was called “the mean spirited trade” in July 1957 when Kennedy was dealt with other players from the Chicago Blackhawks to Detroit for the infamous Ted Lindsay. Kennedy also played with Boston for four seasons and two years in Philadelphia after being selected in the original 1967 expansion draft by the Flyers. Kennedy was a consistent checker and penalty killer during his NHL career that lasted more than 600 games. The only thing he never overcame in his hockey career was his fear of mice which other teammates exploited unmercifully. Kennedy finished his playing career with the Toronto Maple leafs under Punch Imlach in 1969-70. 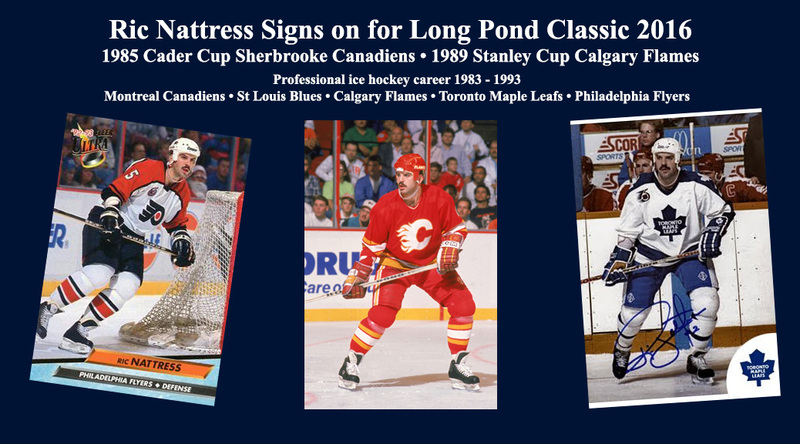 All four of these well-known former NHL players will be around Long Pond all day with action beginning at 8:30 a.m. Saturday morning prior to the official opening ceremonies at 12:00 noon. They will also attend the Hockey Heritage Banquet slated to begin at 6:00 p.m. Saturday evening at Kings-Edgehill. Hunter concluded, “with last year’s classic being cancelled because of the major blizzard which befell Windsor-West Hants and all of Nova Scotia the morning of the event, this year’s event is intended to be extra special as the Hockey Heritage Society’s first major fundraising effort of the season, the second one coming in late spring when the annual golf tournament is held. 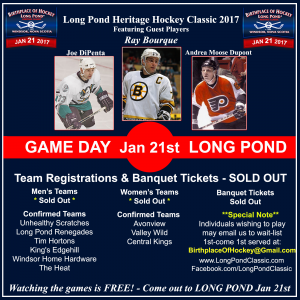 There are only limited openings for players for the Long Pond Classic and Banquet ticket and table sales started slow but have become a hot item in the past few days. Of the 19 tables which can seat ten people each, sales have now exceeded 75%, if you are interested in a ticket or a corporate table of ten, feel free to call Hunter at 798-2025 or Hockey Heritage Director Dan Boyd at 798-2984. The Long Pond Heritage Classic Committee has made the difficult decision to cancel this year’s Long Pond Heritage Classic event on Saturday, February 9, due to a forecasted snowstorm. “The safety of our players, celebrities, vendors, volunteers and spectators is our top priority,” says Event Chair Rob Frost. 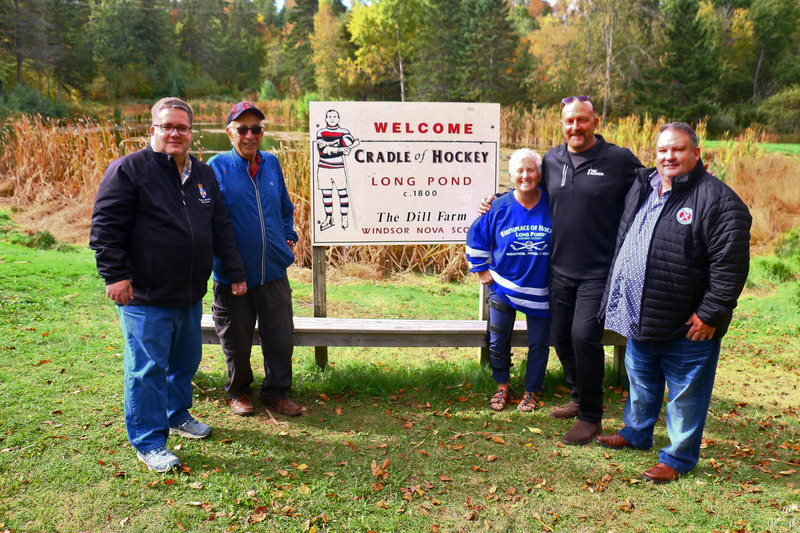 Former NHL celebrities such as Terry O’Reilly, Rick Middleton and Brian Propp faced potential flight cancellations or delays, while other Long Pond Heritage Classic players were set to travel from various communities across Nova Scotia. “We want to ensure people are off the roads when the storm hits,” says Frost. Players will receive a complete refund on their tickets. The cancellation affects the Saturday events only. The Friday night double header at the Windsor Arena is still on. The Windsor RCMP will face–off against the Windsor/Hantsport Firefighters at 6p.m. while the Long Pond Classic All-Star game starts at 7:30 p.m. Event organizers are currently discussing whether it is feasible to reschedule the event, or begin planning for next year. 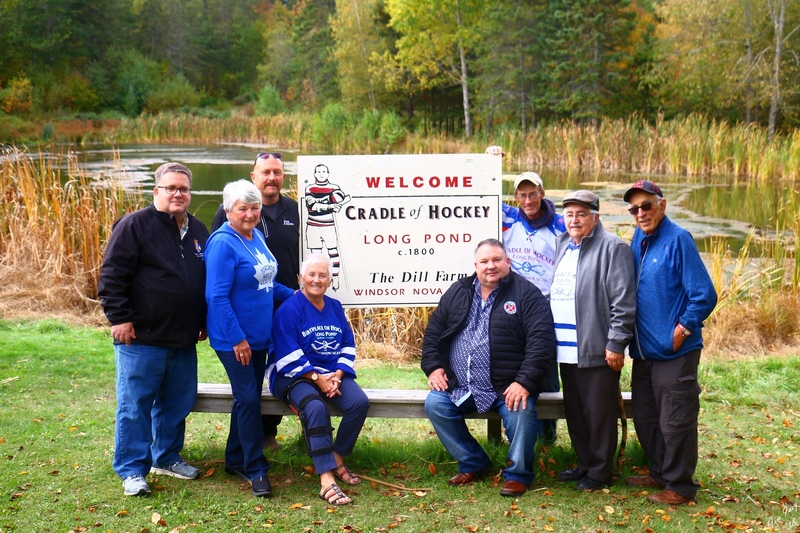 The Long Pond Heritage Classic Committee would like to thank all volunteers, players, celebrities and vendors for their support and understanding. 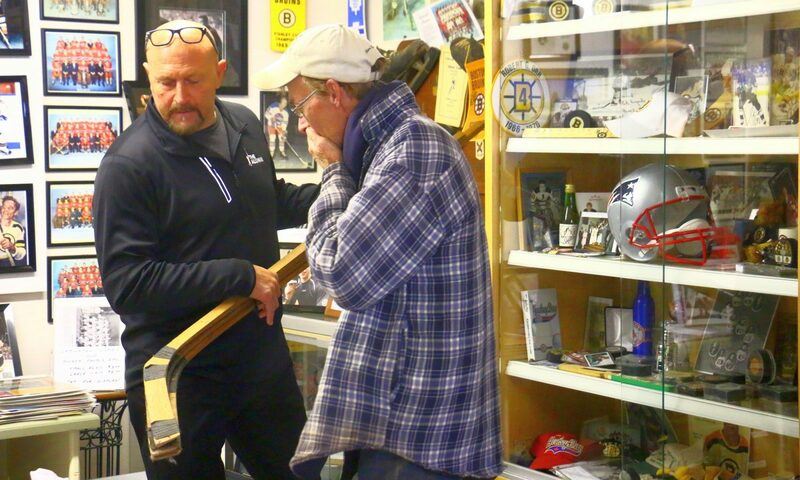 A piece of hockey history will be on display at the Emera Oval tonight between 4p.m. and 8p.m. The first ever Calder Memorial Trophy, awarded to NHL legend Syl Apps for his Rookie of the Year performance in the 1936-37 season, will be on display at the Emera Oval until 8p.m. Syl Apps’ son, NHL star Syl Apps. 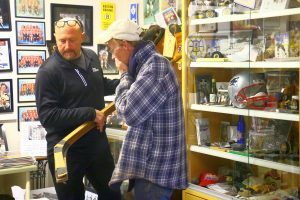 Jr., (father to women’s’ hockey star Gillian Apps) sent his father’s Calder Trophy to Nova Scotia to help celebrate the Long Pond Heritage Classic, a pond hockey fundraiser that his being held this Saturday, February 11 at Long Pond in Windsor, Nova Scotia, the birthplace of hockey. Syl Apps Jr., as well as NHL star Terry O’Reilly and AHL President Dave Andrews will be playing at the Long Pond Heritage Classic (longpondclassic.com). Rob Frost, Chair of the Long Pond Heritage Classic, will be hosting the Trophy and will be available for interviews between 5p.m.-8p.m. The Trophy is being displayed at the Beaver Tails kiosk at the Oval. The Calder Memorial Trophy is an annual award given to the player selected as the most proficient in his first year of competition in the National Hockey League. The winner is selected in a poll of the Professional Hockey Writers’ Association at the end of the regular season and each individual voter ranks their top five candidates on a 10-7-5-3-1 points system. Three finalists are named and the trophy is awarded at the NHL Awards ceremony after the playoffs. From 1936-37 until his death in 1943, Frank Calder, NHL President, bought a trophy each year to be given permanently to the outstanding rookie. After Calder’s death, the NHL presented the Calder Memorial Trophy in his memory and the trophy is to be kept in perpetuity. 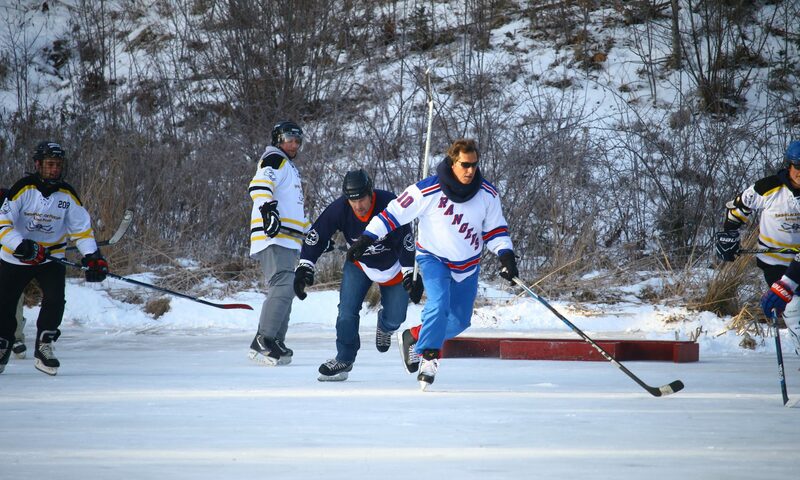 Attention all pond hockey players: we want your stories. 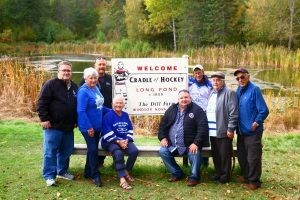 The organizers of the Long Pond Heritage Classic (LPHC), an historic hockey fundraiser that celebrates and preserves the origins of hockey, are launching a search for your best pond hockey stories. The LPHC’s Best Pond Hockey Story Contest, launched today, invites participants to submit a well-told story of up to 500 words that details their best pond hockey experience ever. Entrants will automatically be entered in a draw to win one of two Long Pond Heritage Classic Commemorative Hockey Sticks, signed by celebrity coaches, including AHL President and CEO David Andrews, and NHL greats Terry O’Reilly and Syl Apps Jr. 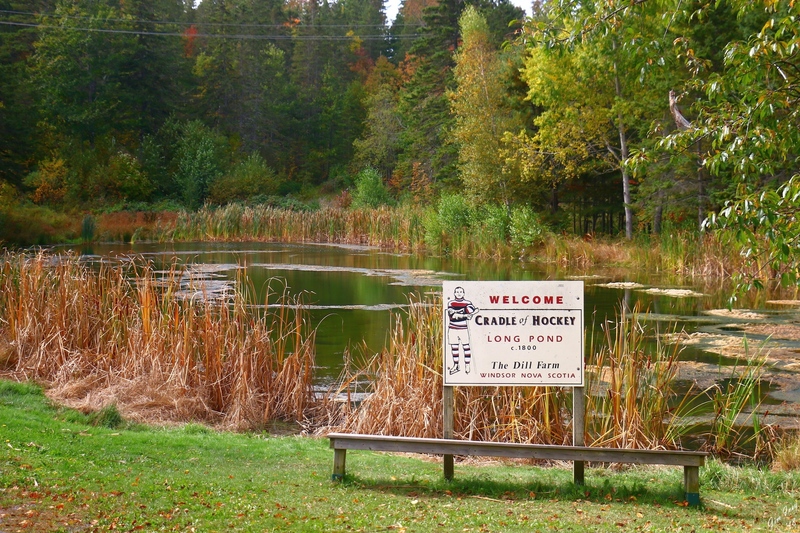 Stories will also be published on the Long Pond Heritage Classic website, longpondclassic.com. A panel of experienced hockey journalists including Rob Simpson, an author and reporter for Hockey News, NHL.com and the NHL Network, will review stories and pick a winner. The winner’s story will receive a Long Pond Heritage Prize Package valued at $500, and his or her story will be published in its entirety on the LPHC website. 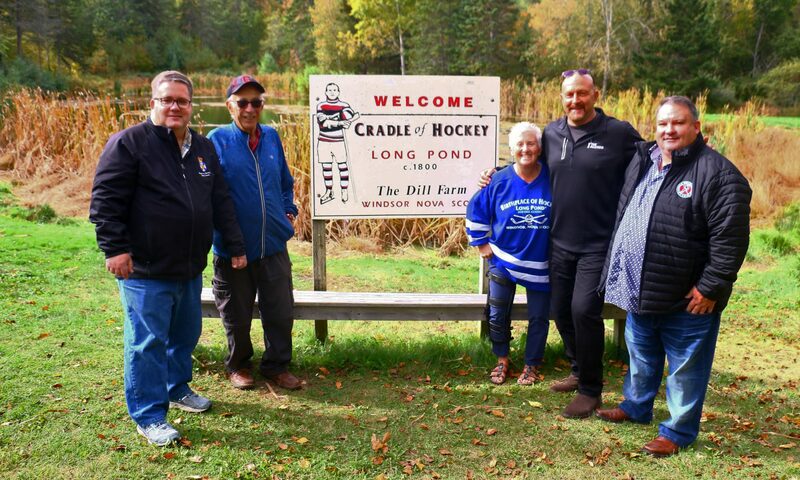 The Town of Windsor, King’s Edgehill School, the Windsor Hockey Heritage Society and the Dill Family Farm are spearheading the Long Pond Heritage Classic, a celebrity-filled hockey fundraiser that will take place on February 11, 2012 at the birthplace of hockey, Long Pond, in Windsor Nova Scotia. 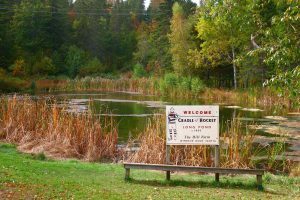 Long Pond is held to be hockey’s original home ice; Canada’s first international best selling author Thomas Chandler Haliburton documents young boys playing “hurley” on the ice at Long Pond as far back as 1800. 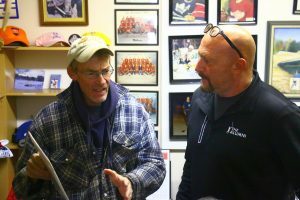 Money raised from the fundraiser will support the Windsor Hockey Heritage Museum.